The Mayor and the "Array of Evil"
In publicly rejecting MLGW president Joseph Lee's resignation last Thursday, Mayor Willie Herenton declared, "I will not, cannot in good conscience participate in a media, political witch hunt that is currently operating in the city of Memphis around the leadership of this utility company. Let me also say that I cannot approve any initiative that has the support of The Commercial Appeal, Carol Chumney, and Myron Lowery." He referred to the troika as "an array of evil." After refusing to accept his resignation, Herenton encouraged Lee to focus on "regular folk" and their mistrust of the utility's meter-reading and billing. "This is one disturbing issue, that I have been overwhelmed by criticism and concerns in the community. 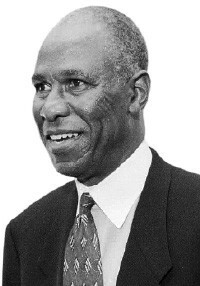 I'm asking Mr. Lee, help me and the citizens understand the spiraling increase ... that leads many to believe that the billings are excessive and arbitrary," Herenton said. Herenton then announced his solution: "Next week, I will be requesting from the Memphis City Council an allocation of funds to provide assistance to needy citizens, many of whom are on fixed incomes. I will be asking the City Council to support my request for $5 million ... to assist us in helping us to help the people who need it most." Every Thursday, the MLGW board of commissioners meets downtown at the utility company's headquarters. Before the afternoon session, the floor opens to citizens wishing to address the board. Last week, Georgia King took the floor and asked a key question, not only for the future of MLGW but also for election-year city politics. "When was the customer 'VIP list' started, and by whom?" she asked. King was referring to the list of high-profile MLGW customers whose utility accounts were under the supervision of MLGW executives. The list, which was apparently generated as the result of an e-mail by then MLGW head Herman Morris, was released to the public by Lee's attorney Robert Spence just after Lee's grand-jury appearance last week. MLGW board chairman Rick Masson assured King that an internal investigation would soon be under way to address the question. 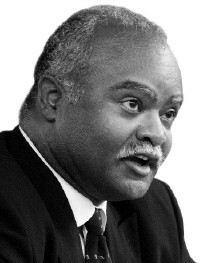 Though Herenton had rejected Lee's resignation earlier in the meeting, he left the door open to revisit the issue, after first decrying the array of evil, which he perceived as trying to force his hand to remove Lee following the revelation of Lee's "preferential treatment" of VIP-list member and city councilman Edmund Ford. "I find it unacceptable at this point in time to consider accepting his resignation, when, apparently, the wave of public sentiment and the blitz of bias exerted by The Commercial Appeal and other members of the media, I believe, has had undue influence, perhaps, on many key decision-makers," Herenton said. The mayor then acknowledged that City Council chairman Tom Marshall had initiated an independent investigation of MLGW, and he contrasted the two approaches to solving the crisis of public confidence in the utility company -- the "media, political witch hunt" of the evil array and the objective investigation. Marshall told the Flyer that "the mayor indicated that he is deferring until the results of the investigation are complete. Ultimately, he will revisit the issue of the termination of Mr. Lee. If you listen carefully, as I perceive it, the mayor is still open to that possibility, depending on the outcome of this investigation." The mayor focused on the differences between having an agenda for Lee's removal and the facts to support such a move. "Hopefully, the investigation will be thorough, unbiased, not tainted by any predispositions or judgments based on a biased media that is really focused on discrediting Joseph Lee and this institution," Herenton said, adding, "I applaud the councilman [Marshall] for his leadership and hope that the individuals who have accepted that engagement will conduct it with the highest of integrity and professionalism." Marshall appointed attorneys Oscar Carr and Saul Belz to lead the investigation. The attorneys were slated to outline the investigation plan at the Tuesday, March 6th, City Council meeting. Marshall says that Belz will present the results of the investigation to the council March 20th. 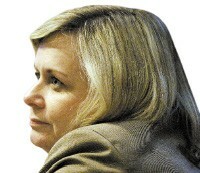 "Part of my reason in not accepting this resignation is that that investigation has not been complete," Herenton said. "I have no facts surrounding any recommendations that Mr. Lee should be removed from his position." While Herenton exercised his prerogative to reject Lee's resignation, Marshall says that Lee's future as MLGW president rests as much with the council as it does the mayor. "The City Council has authority, as prescribed in the charter, with 11 [out of 13] votes, to remove the president of MLGW without the consent of the mayor. In addition to that, the council also appears to have the authority to remove all of the [MLGW board] commissioners without the authority of the mayor," Marshall said. The MLGW "crisis of confidence" issues encompass more than the creation and maintenance of the so-called VIP list. The independent investigation will also address the meter-reading and billing practices of MLGW, which Herenton said give the appearance of "excessive and arbitrary" billing. Herenton has attributed the questionable billing practices to a "a conspiracy to sabotage [Lee] from within." Marshall offers a simpler explanation. "I'm having trouble believing [the sabotage allegation]. 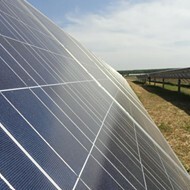 I don't think that such sabotage exists," Marshall said. "There is the potential for incompetent billing practices going on, but not as the result of any kind of direct effort. If there is malfeasance, it's the result of inability," added Marshall. MLGW board member Nick Clark expressed a concern for the utility's business practices that may not go away with leadership change. "The core problem, in terms of the future of MLGW, is the politicalization of business issues, because that interferes with the operation of a public utility. "Why does MLGW have a problem with the culture of mistrust with certain members of the City Council?" Clark added. It hardly needs to be said that that mistrust goes both ways. At this point, neither the public nor anyone else has a clear grasp on just what the problems are at MLGW. Are bills really out of line? Is Lee a capable administrator or just a Herenton crony in over his head? Was Herman Morris' VIP list anything more than a way to maintain good PR? Were favors granted to others besides Edmund Ford? With any luck, the coming weeks will bring some answers. Meanwhile, the power struggle continues. Attorney Saul Belz, who will lead the independent investigation of MLGW, is scheduled to appear before the City Council, in order to provide the council with the scope and timeline of the investigation. 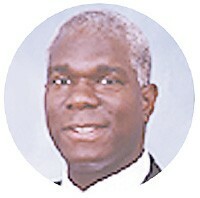 Visit www.memphisflyer.com for updates throughout the coming week. Do You Hear an Ecko? A throwback record label fights to survive in the new music business. 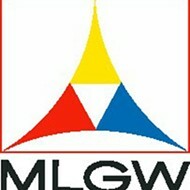 MLGW cracks down on non-resident employees.